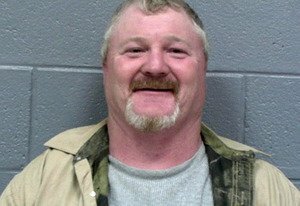 Honey Boo Boo’s cousin Tony Lindsey was arrested for jumping in the path of traffic on a freeway possibly in a gorilla suit. TMZ are reporting that Tony Lindsey was part of a group wreaking havoc on a Georgia highway (because one of them was in an ape suit) when he got arrested earlier this month. He is the cousin of the seven-year-old TV star, real name Alana Thompson. According to the police report, obtained by TMZ, Deputy Joe Rozier says he was driving along Highway 20 around 11 p.m. when he noticed someone carrying out a potentially fatal jape. Joe Rozier reports he immediately stopped the car, whipped out his flashlight and went searching for answers and “observed several white males run up the embankment and into the woods”. The officer says he eventually made contact with five adults and two children without a suit. Eventually, Joe Rozier says they “fessed up to stashing the suit in the woods”. After recovering the suit, Deputy Joe Rozier says he arrested all of the adults for reckless conduct and booked them all into the local jail. The gorilla suit was taken into evidence.